I’ve been following events on our nation’s campuses where higher learning is supposed to take place. From one perspective, one could say the faculty and students have performed a great service for making the nation laugh again, what with their “safe spaces” and tears over the last election. However, my desire for higher learning to be appreciated makes the spectacle more a reason for sadness than laughter. Denying conservative speakers the right to be heard is a type of fascism, which is ironic because the deniers claim to be combating fascism. Their totalitarianism is fascistic; the speakers hold to limited government and the right for every position on the issues to be aired publicly. The fascists are the student protesters; those who value liberty, decency, and civil discussion are the conservatives who are being shouted at and slandered. 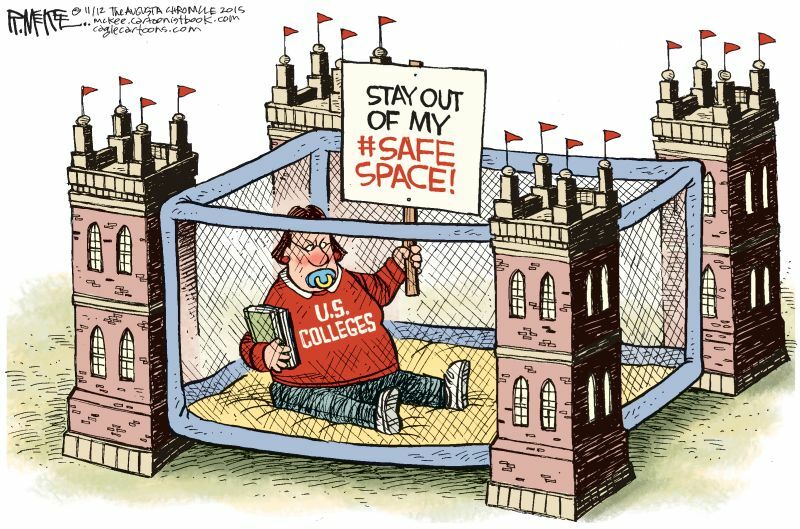 I sit in a fairly “safe space” of my own since I teach on a Christian evangelical campus. 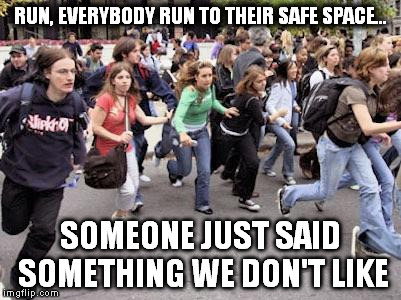 I have yet to witness a riot on my campus, and people are allowed to speak without being shouted down. Each year, I bring a speaker for Constitution Day who extols the virtues of our form of government and the Christian basis for understanding government. If you want to find where higher education is occurring, may I suggest a campus like mine? I invite all potential history majors to come and study under me and others who grasp the importance of Christian faith to education. I have experienced other campus scenarios, however. Both my master’s and doctoral degrees were earned at typical secular universities. Some of what I received was excellent; some was biased. I learned to tell the difference. For a few years, I even taught as an adjunct history professor at a large, well-known university in Virginia. I brought my Christian perspective into the classroom, along with my conservative political interpretation of American history. Course evaluations from my students were an affirmation that they believed I was a good professor. Then I had a class in which one student, a radical feminist, complained to the department chair about my teaching. That led to a phone call from the chair (I never met her in person). She asked about how I teach and I told her. She seemed very civil and even noted that every professor teaches from his/her own perspective. I thought the conversation went very well. I was never invited back. The open mind is always closed at one end. That’s what Whittaker Chambers said about his mother when he asked her once about when God created the universe. She froze, he related, and in an icy voice, informed him that someone must have told him that, and that he was to keep an open mind. She then lectured him that the universe was created out of gases, not by God. He learned a lot at that moment; that’s when he realized that those who proclaim to be so open are often the most close-minded. That’s what we see at this moment on our campuses, and it’s a sad reality. Of course, I know this is not new. I was on a campus myself as a student during the Vietnam War. That era was ripe with protest, potential anarchy, and violence. As has often been noted, the radicals of the 1960s-1970s are now teaching the current generation. The cycle continues. Back in my college days, the mantra was not to trust anyone over thirty. Only the younger generation really knew what to believe. The more time passes, the less things change. That arrogance is still the cornerstone of radical protest today. They walk in blindness. The Christian mission on campuses is to shed light on that blindness and lead them into true Truth.